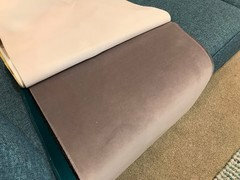 My wife and I aren’t good at this so would love some photos of sofa ideas and colours to help. Basically our living room is in this photo. 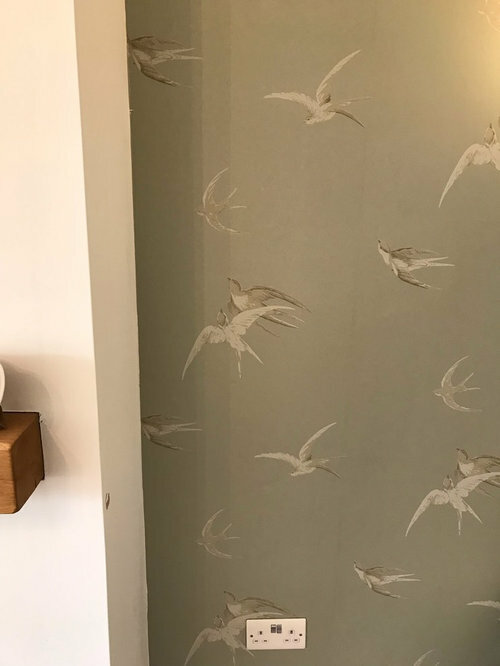 We have cream walls and the green “swallow” wallpaper and a very light pink carpet. A)trying to get one that matches the wallpaper and carpet!! 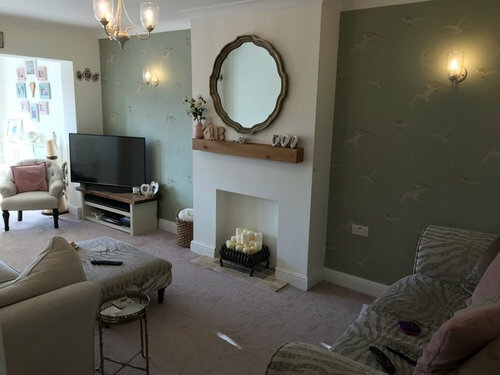 Can anyone help with colours, or photos of sofas etc that could work in this room as we are really stuck and don’t want to end up buying a sofa that doesn’t go!! You have a nice colour palette and are looking to stay quite neutral, so it shouldn't be a problem. Do you have a swatch of the sofa you are going to keep? If so take it along to a sofa showroom to check against what they have. Also, if you still have some of the wallpaper and paint leftover, stick them on a piece of card and take them along too. 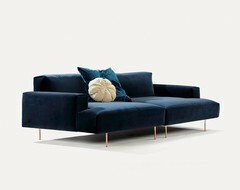 Alternatively, sofa stores will send you swatches that you can check against your existing decor. I always do this because the light in your room really effects how it will look in situ. Crying out for a dusky pink chesterfield! 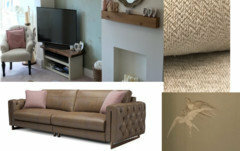 Do you need to keep the other cream/beige sofa in this room if you go for a corner sofa? The other sofa we are still paying for, however I’m tempted to sell it to make our lives easier. What’s your thinking? 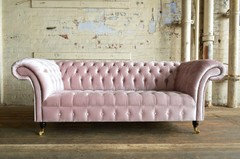 If unsure on a pink chesterfield I think a light tan version could also work. No I agree with MATH Chris that you need to contrast than try and match or blend with the sofa you are keeping. 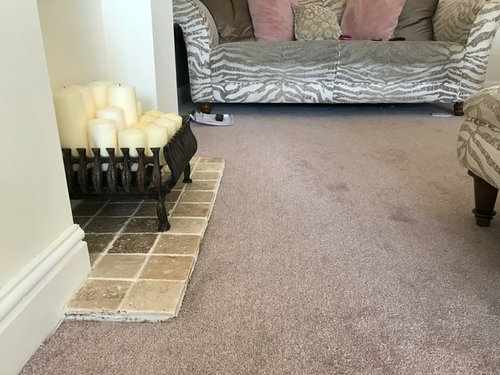 If that's the case I like the dusky pink suggestion if your pink carpet is the more beige pink it seems to be on the photos. I'd also look at sage or olive green as an option. 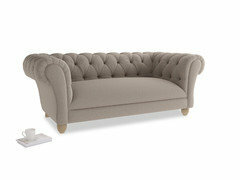 J love the look of chesterfields but I like something more squashy (?!) for comfort. Good advice above about swatches /samples. Do you mean a light tan leather Danielle? That could work well. Can you take another pic from the adjoining room Chris showing the two current sofas. You might be able to get some creative Houzzer to do you a mock up with a couple of options. 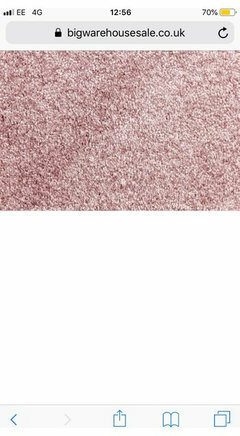 This is the pink for the carpet. Sadly we don’t have swatches of anything left over. Not sure if this helps? Carpet is pinker than I thought at first. I wouldn't go with a pink sofa in that case. 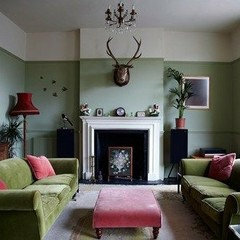 Do you like the idea of green for the sofa (couple of shades, darker than your walls) or the tan that was suggested? 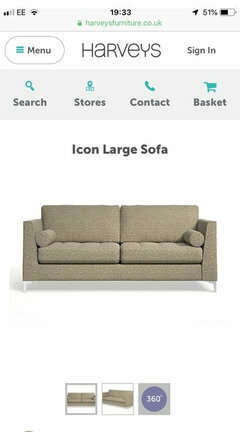 Do the shop that you bought the other sofa from still sell that one? You could just buy another to match. 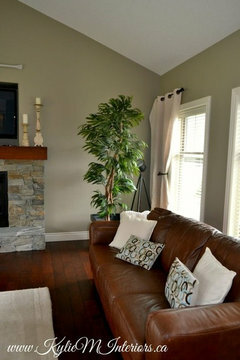 Alternatively, maybe a brown leather to match with the mantel and other wood in the room. 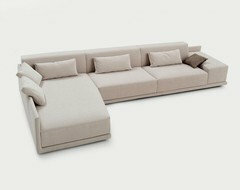 I think this one the Belucci from DFS sits great with the existing furnishings. it even has buttoned ends to match in with the button back armchair. 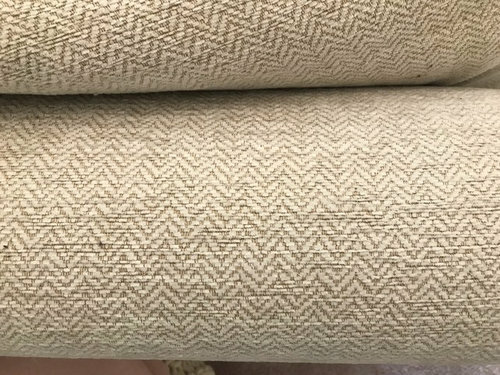 Maybe a taupe sofa to tone with the wall paper. This one is from Loaf. Do like the brown leather and the taupe one is really nice! Such a nice room. I’ve got sage green walls Like you. My sofas are a biscuity beige and I have a brown leather wingback chair, with a red Persian rug on the floor. 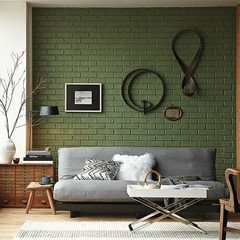 Much as I love sage green, I think buying a sofa just to suit the wall colour is a bit back to front, if you get what I mean? Changing wall colours is relatively easy and not too pricey. 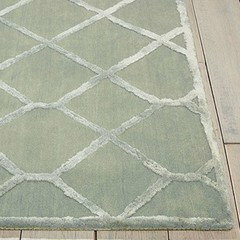 You can also buy a rug to cover the carpet without costing a fortune. Love some of these photos. The new sofa will go against a cream wall. 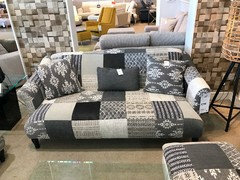 We looked at these sofa styles, although it’s always hard when you don’t see the actual sofa in full colour in front of you!! I think the biscuit coloured one would go well. You can then add cushions and throws to add colour. I’m not sure what shade the velvet coloured one actually is? If there’s a grey shade, that would look nice. The patchwork one looks a bit scary to me lol! Nice, the first two look really cosy. 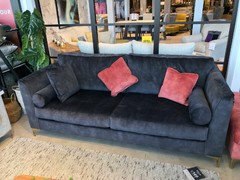 Can you post a pic of the whole sofa that you're trying to pair it with, don't know what style that it. I can see the button back chair and that's an 'antique style'. I like the large antique style at the bottom, that looks really comfortable. 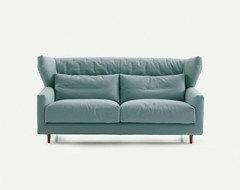 I didn't like the Scandi style DFS one ( the turquoise ) the style doesn't go with the room. 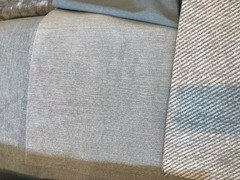 Could work well, best thing to do is take one of the cushions with you, from the sofa that you're keeping and see if it looks ok next to the new one.. 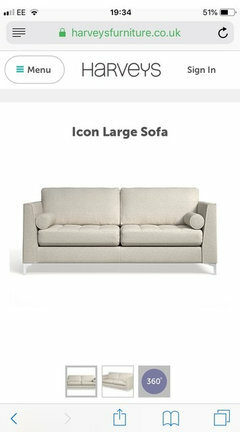 It's a really nice sofa, so hopefully it will match well. 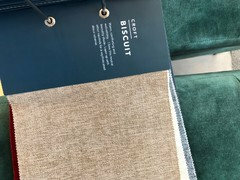 The trouble you'll have with trying to match two different sofas and a chair is that they'll all have slightly different tones, hence why a few of us said go completely different with the colour. Personally i'd go with the brown leather...........it can't clash and is easy to match a change of wallpaper or carpet as it's a timeless classic. 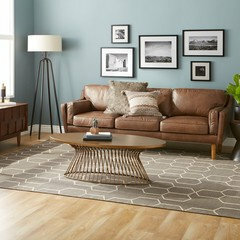 Leather lasts infinitely longer than fabric and so you don't need to keep changing sofas when you change colour schemes. 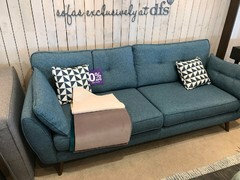 My daughter rues the day that she bought a fabric sofa with 2 kids! - I did try and tell her, but you know what kids are like. Haha this is true, fabric and children is a disaster! What we have decided is to get rid of both sofas so we would get a 3 seater and love chair from the same range. As you said it’s too complicated to get them to match. Hi. 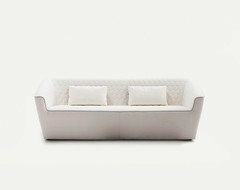 I would change the sofa and play with modern shapes in order to create an interesting contrast with the furniture style you have (sideboard, shelves, mirror…) and the wallpaper. Will you show it us in situ?